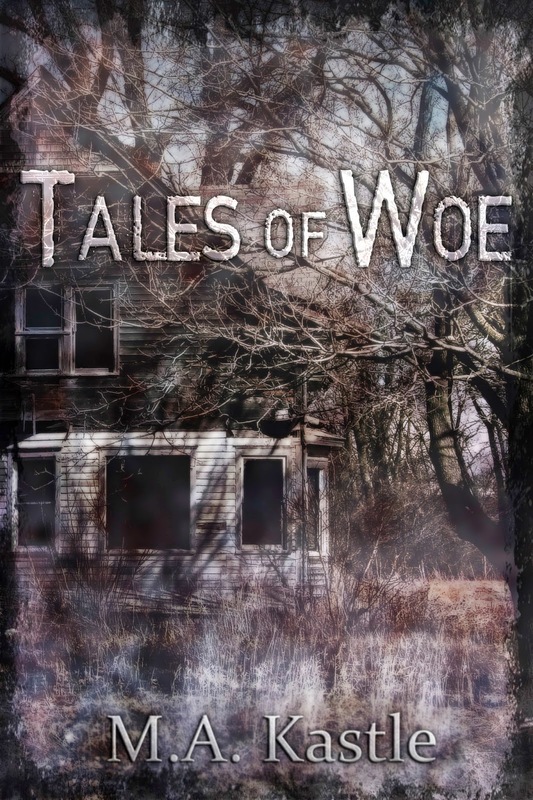 Tales of Woe a collection of short horror stories, is on Amazon, paperback, and e-book, for your reading pleasure. As you know you can get the Kindle App (so you can read Tales of Woe, if you don't have a Kindle) on every electronic device EVER!! All right, maybe not ever, but pretty much anything. Smartphone, tablet, iPad, laptop, desktop, Apple, PC, see almost anything. It was her imagination. It had to be. There was nothing out there and it was impossible for them to follow. Memories, they were her mind's eye. She was doing this to herself. Self-punishment. Chills laced up and down her spine and she shook from their evil. Like an eolith against stone, the night’s inky threads stretch out, weaving and twisting until they find the gateway. When bronze stands before them, their serrated ends burrow into the multitude of heavy locks. Spreading their haunted poison they weaken the corroded mechanisms and grind away. Until undone, the locks send loud screams to echo into the midnight hour. With little strength, he tried mumbling a prayer. Sounds bubbled up and out of his mouth, but not the words he worked to pronounce. God knew what he needed to say. Jason pretends to listen to the story and looks up at the clock. Its numbers staring down from their pale face while thin black lines descend on the passing seconds. Stone heavy, the weight of Sam’s constant voice in his head lingers, and he begins to doubt whether he can make it through the night.